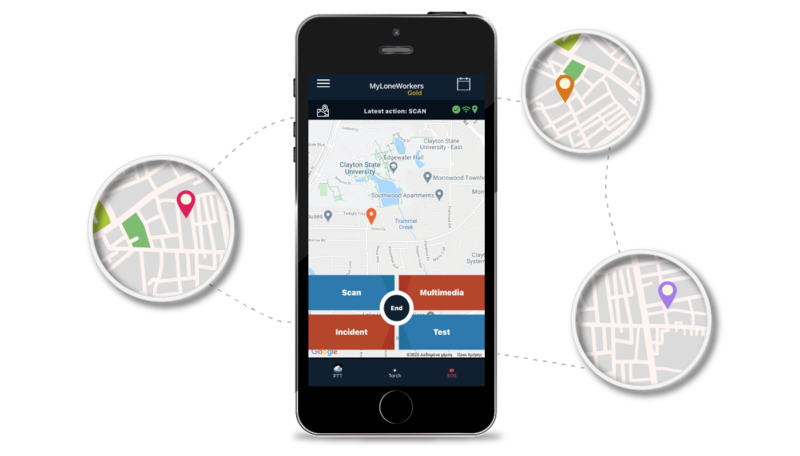 MyLoneWorkers system consists of a web and a mobile application(both iOS and Android) so as to ensure Lone Workers’ maximum prevention and protection. MyLoneWorkers web application allows total control on different entries' levels: administrators, managers, lone worker’s companies, lone workers and clients. A lone worker manager can control all the parameters regarding the levels down in the hierarchy. Furthermore, there is the possibility to add and edit all relevant information regarding the various users roles and allows the total remote management of any incident, lone worker, schedule, client related to the lone worker’s company or organization. MyLoneWorkers is the best way to fully manage lone workers activities distantly from the office by getting GPS status and full task-assignment reports and alarms. 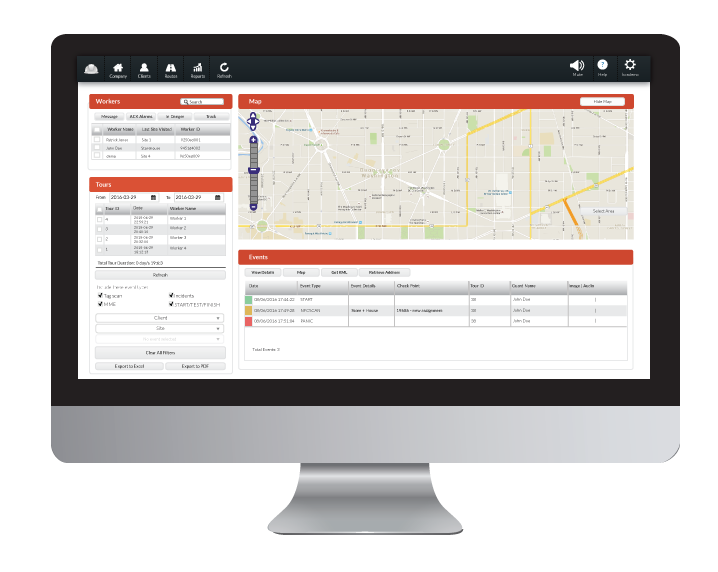 An integrated fully functional time schedule interface enables arrangement of lone workers scheduling and tasks-assignments. You can view detailed reports of any accomplished or arranged event and activity, using advanced filters and exporting to PDF or excel format. With the mobile application you can now start a task-assignment by the simple press of a button. Their accomplishment becomes now easier than ever via your smartphone. Just get on the place, launch MyLoneWorkers mobile app, log in and start a task-assignment. At the same moment, an alarm event is sent to the MyLoneWorkers web application via a cloud server, indicating that a new task-assignment has just been launched. You can not only send events but also communicate with the managing staff via multimedia interaction, including: text messages, images captured at the moment of operating or audio messages. All of the messages include signature validation to claim legal processes and extinguish ambiguity for lone worker’s activities. When a lone worker comes up with an urgent situation, he can send an immediate SOS alert to the monitoring center by pressing the red SOS button. In addition, he can choose from a list of predefined incidents to send, such as: sudden illness of the lone worker, missing keys, physical violence from members of the public and/or intruders during darkness or on public transport, travelling on public transport, accidents from chemicals used for cleaning, car accidents – breakdowns – break-ins, theft, etc. The user scans a tag and the monitoring center receives immediate alerts. 3play technology incorporated: Scan QR-Code, NFC, detect beacons.